Caitlin Strong is a fifth-generation Texas Ranger, proud to wear the badge of her father and grandfather—until a deadly shoot-out along the Mexican border causes her to question her calling. 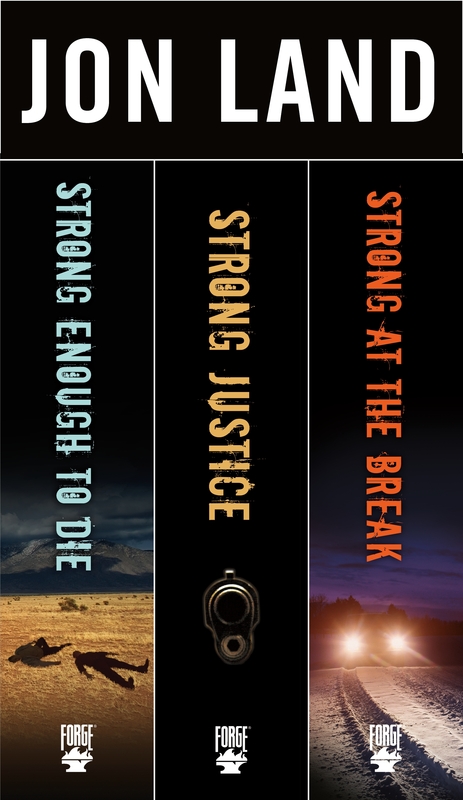 Caitlin Strong pursues justice the Ranger way in this mystery thriller series. About the AuthorJon Land is the USA Today bestselling author of more than forty books, including Strong Enough to Die, Strong Justice, Strong at the Break, Strong Vengeance, Strong Rain Falling (winner of the 2014 International Book Award and 2013 USA Best Book Award for Mystery-Suspense), Strong Darkness (winner of the 2014 USA Books Best Book Award and the 2015 International Book Award for Thriller), Strong Light of Day (winner of the 2016 Beverly Hills Book Award for Best Mystery) and Strong Cold Dead (winner of the 2017 International Book Award for Best Action Thriller). Land is a graduate of Brown University. He lives in Providence, Rhode Island.